The ROBUS Energy Saving Calculator provides a tangible illustration of the financial and environmental savings that will be made by switching from old technology to new lighting solutions. Calculate the potential cost savings online here! This easy to use tool quickly and simply compares the full lifetime cost of an existing standard fitting with that of an alternative new energy saving fitting. Click on one of the download buttons below to access this tool. Once the file is downloaded, simply open the file and fill in the requested information into the white boxes. The results are clearly broken down for you at the bottom of the page and graphs visually show the savings you could make by joining the revolution. LED Group provide this calculator to demonstrate potential energy savings, payback period and carbon emission savings when comparing two products. The figures are not a guarantee, but an indication of the savings that may be achieved. 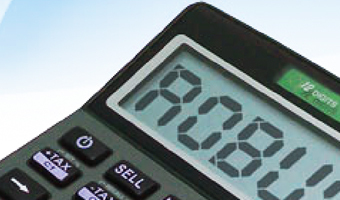 LED Group will not accept liability for any claims relating to actual savings as a result of using the calculator.